With their arch-rival on the horizon, the SMU Mustangs ripped off their fourth straight win Sunday afternoon, topping Oral Roberts 79-67 in Moody Coliseum. The team was hot early, as Jimmy Whitt and Isiaha Mike hit quick 3s to start the game and force an Oral Roberts timeout after just 75 seconds. The Mustangs played an excellent in the first half, getting out to a 42-23 lead at halftime. The lead was big, but the Golden Eagles were not out of the game. After making just three triples in the first half, Oral Roberts made six in the first seven minutes of the second half, cutting SMU’s lead to just 11. They finished the game with 12 3-pointers on 25 shots. SMU dropped a game to a Southern Miss team that made 13 3s, and it almost met the same fate Sunday. “I’ve been saying and I’m going to keep saying I’m concerned about our defense,” Tim Jankovich said. The Mustangs were able to recover, using inside baskets to widen the lead to 18, but the Golden Eagles made another push. They went on a 16-5 run over three minutes to cut SMU’s lead to 68-61 with just more than three minutes remaining. SMU got critical back-to-back buckets from Whitt and Jahmal McMurray to put the game out of reach. Still, Tim Jankovich was unhappy with the team not being able to keep Oral Roberts down. Ethan Chargois led the Mustangs in points with 17 and did most of his work inside, making six of his seven two-pointers. He also grabbed nine rebounds. Jarrey Foster made his first start of the season in his third game back, playing a season-high 28 minutes. Foster made three of his nine shots for seven points, with two rebounds and an assist. While Foster’s presence has helped the team, those numbers are a far cry from the senior is accustomed to putting up. 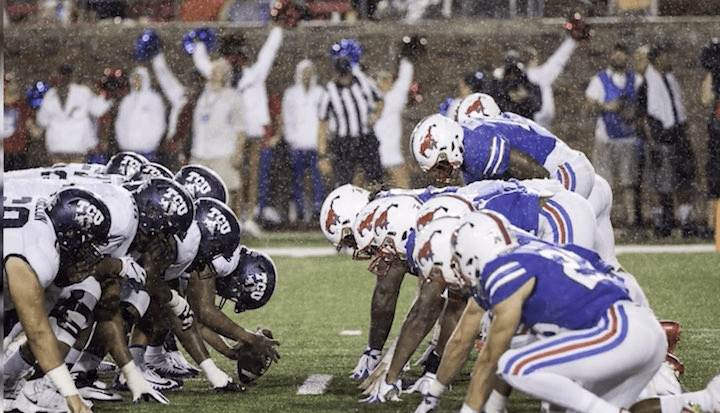 Rival TCU, which was ranked earlier this season, looms next week and SMU will have to play much better than it did Sunday, especially in the second half to beat the Horned Frogs. The coach and players know that.